Home / John Cochrane - Grumpy Economist / Concentration increasing? John H. Cochrane writes Competitive deposits? Is the US economy getting more concentrated or less? At the aggregate level, more. This is a widely noted fact, leading quickly to calls for more active government moves to break up big companies. But at the local level, no. 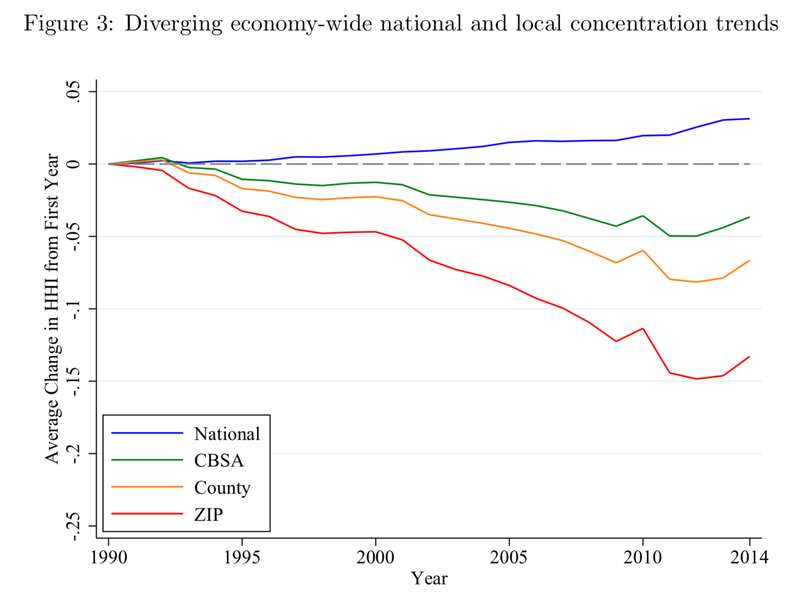 Diverging Trends in National and Local Concentration by Esteban Rossi-Hansberg, Pierre-Daniel Sarte, and Nicholas Trachter documents the trend. They make a concentration measure that is basically the sum of squared market shares, so up means more concentrated and down means less concentrated. 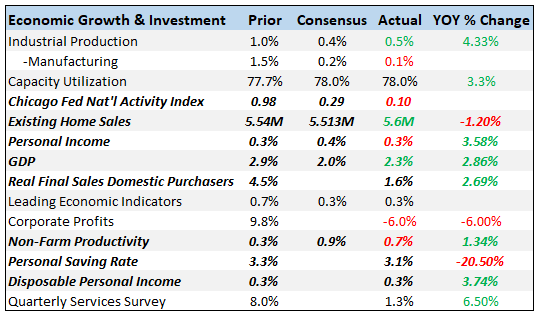 This is the average of many different industries and markets. The average concentration of national markets has gone up. But the concentration of smaller and smaller markets has gone down. More businesses are dividing up county and zip code markets. Industries differ. This graph does not get a prize for ease of distinguishing the lines, but the two red lines just below zero are manufacturing and wholesale trade, where the industries with really dramatic reductions in local concentration are retail trade, finance insurance and real estate, and services. However, that turns out not to be so obvious. 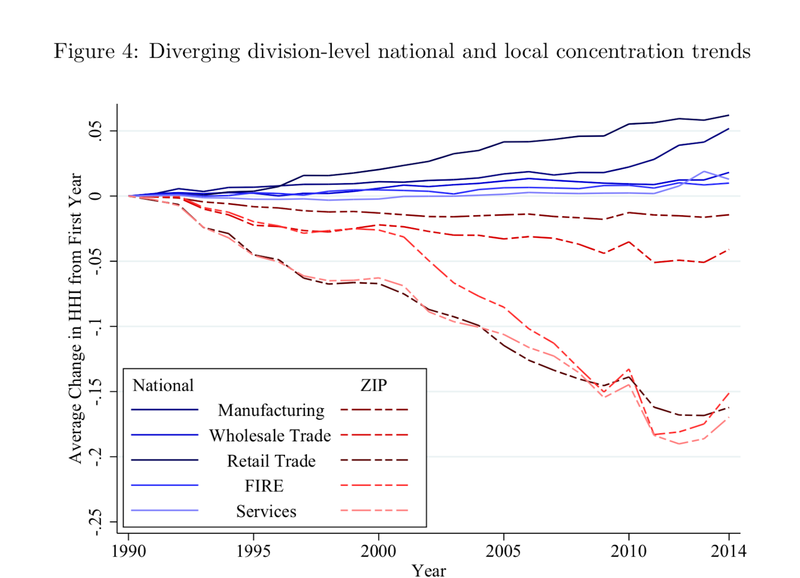 This graph shows what happens in the diverging industries (those in which national goes up, and local goes down) if you leave out the biggest company. Doing so, lowers the rise of national concentration, because we left out the single most concentrated firm. The lower line however, shows a positive effect. 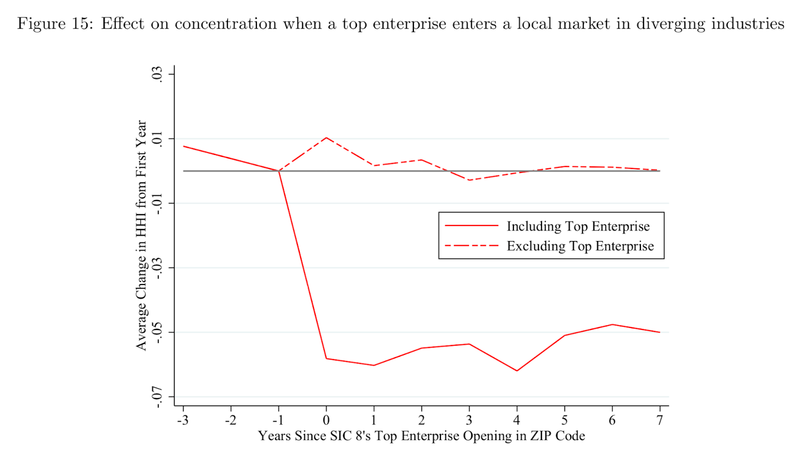 If we leave out the largest national firm, the local markets look more concentrated. If national brands had just replaced local businesses, then when we leave them out, we should see lots of smaller shares. The same thing happens if we leave out the second and third largest. What's going on? Well, they look at what happens when Wal-Mart comes to town. The lower line is the effect on concentration in the years before and after the top national firm enters a market. Concentration drops. If, when Wal-Mart came to town, all the exiting firms went under, concentration would rise. 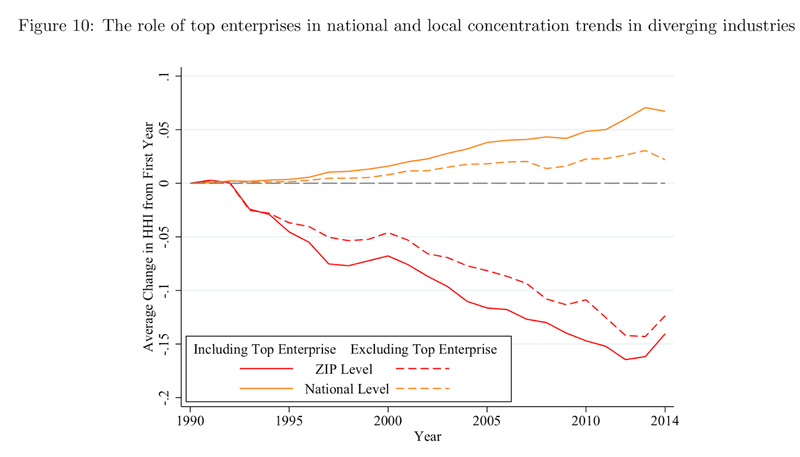 The upper line shows you concentration ignoring the largest enterprise. It's unchanged. Either the mom and pop stores do, in fact, stay in business; or new smaller firms enter along with Wal-Mart. The phenomenon is not just the replacement of all smaller businesses by a larger number of national chains. The paper was presented at the San Francisco Fed "Macroeconomics and Monetary Policy" conference, where I am today. The discussions, by Huiyu Li and François Gourio, were excellent. As with all micro data there is a lot to quibble with. Is a zip code really a market? Much of the data are industry+zip codes with a single firm, both before and (slightly less often) after. Maybe Walmart and other stores drag in customers from other places? And of course, concentration is not the same thing as competition. The SF Fed will, in a week or so, post the conference, papers, and discussions.